Welcome home to this custom built 3 bed, 3 bath home with leased SOLAR sitting on 2.1 acres of usable horse property! This 3, 060 SF home features a zen garden in the front picnic area, leading you past the horse shoe pit and onto the gorgeous stamped concrete patio. Enter through the front door, or through the sun room which connects to each of the two Masters. Double sinks, walk in closets, built in storage, outdoor access from every room, and a custom built spa with a fountain. The 4 car garage has plenty of room for all of your toys, not to mention the RV hookups and space for a boat! 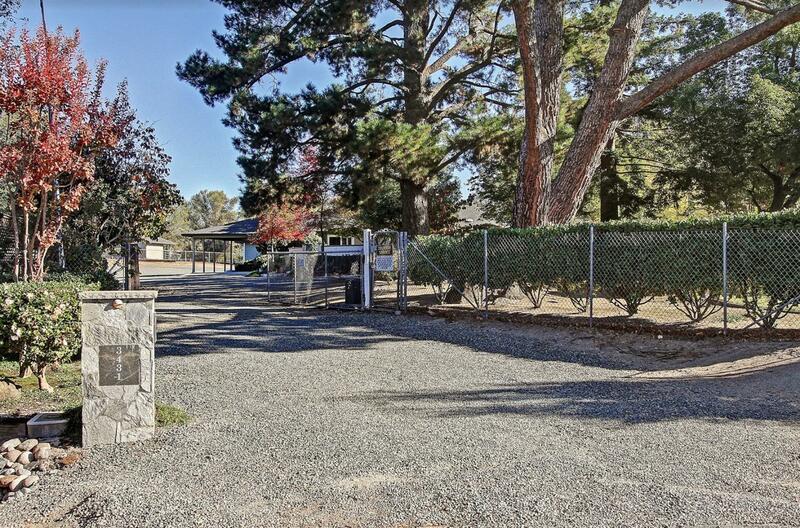 Animal lovers, this home features a barn with 2 stables, a dog run WITH GRASS/DIRT, fenced and cross fenced, and easy to clean floors. Tile and wood throughout makes this the perfect combination of classy & country. This is the perfect home to entertain with the thoughtfully designed 400 square foot Bonus Room which steps down from the Kitchen & dining area. SECTION 1 PEST CLEARANCE!